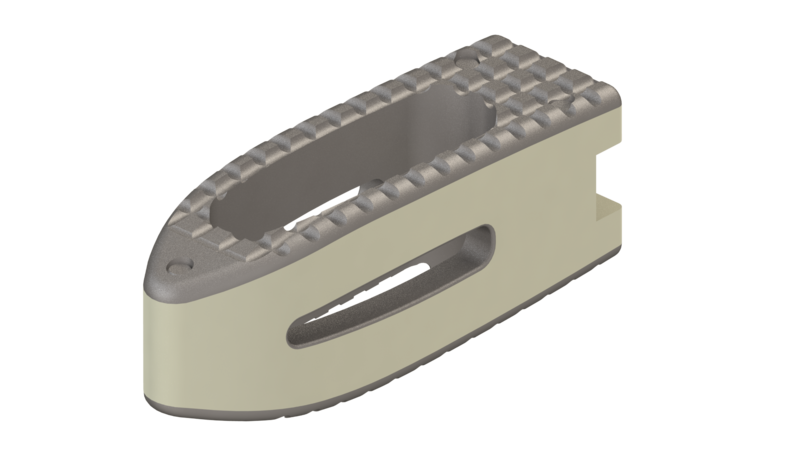 The Caliber TLIF (Transforaminal Lumbar Interbody Fusion) device is a single-component device manufactured from PEEK-OPTIMA, with one anterior and two posterior titanium-alloy imaging markers. Titanium coating is plasma sprayed onto the device integration surfaces. 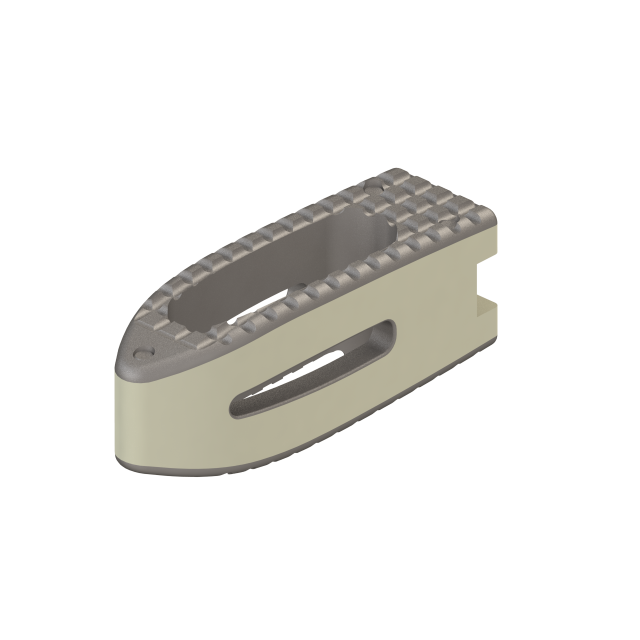 The Caliber is anatomically shaped to fit the lumbar disc space optimally, with three different lengths and multiple heights to restore disc height. The bullet-nose makes insertion of the device simpler. 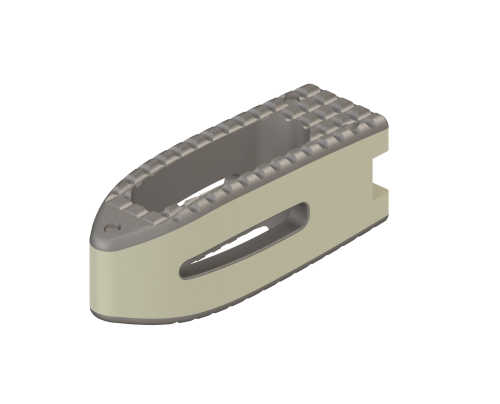 The titanium-coated surfaces and large bone graft window improve osseointegration with the vertebral endplates and bone graft, resulting in a more stable construct. The procedure for insertion of the Caliber is simple and time efficient, with easy-to-use instrumentation that allows a minimally invasive approach when used in conjunction with the SOLFIX MIS system. It is recommended to augment the Caliber with supplemental posterior fixation using the SOLFIX2 pedicle screw and rod system.